We worked with 4 primary schools in South Cambridgeshire on a project based around Handel’s Fireworks music and a new vocal commission ‘Roaring Rockets’ performed at Sawston Village College in March 2016. 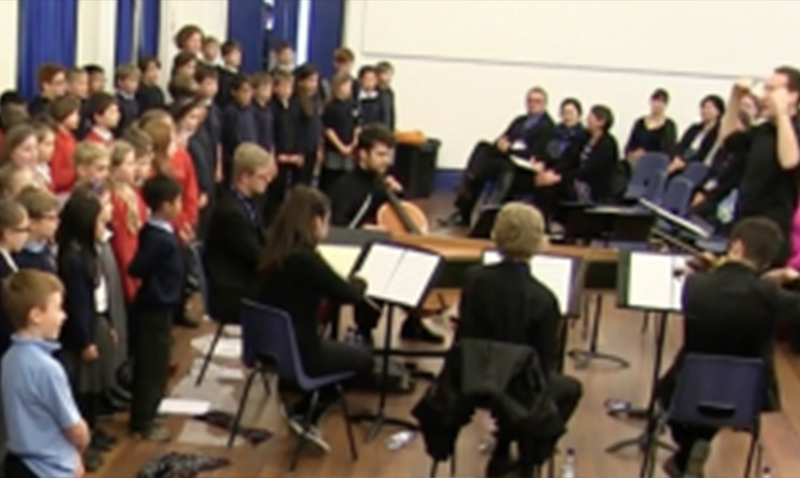 The musicians of Eboracum Baroque were joined by pupils from Icknield Primary School, Babraham Primary School, Duxford C of E Primary School and Bellbird Primary School. They brilliantly sang the world premiere of a new piece ‘Roaring Rockets’ based on Handel’s Fireworks music which was composed by Gidon Fineman.